Founded in 2008, Na Zdravi Ventures was created by six U.S. and two Czech business partners who wanted to bring one of America's most successful restaurant concepts into Central Europe. The company is the official franchisee for Hooters® restaurants in the Czech Republic and currently has two restaurants in Prague. The first Hooters located at Vodičkova 5/12, Praha 2 opened on 4 June 2010, and the second restaurant located at Havelská 25/500, Praha 1 opened on 14 April 2014. 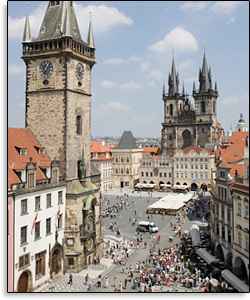 The company intends to develop a third location in Prague with an opening date in 2015.